To save battery power, press the power key to turn off the display immediayely when you are not using your smartphone. Reduce time out for screen , to 15 seconds which can prevent some battery consumption. Latest smartphones come with inbuilt app like stamina mode or power saving mode(in Samsung galaxy series). Enabling power saving mode through settings will automatically disable the inactive applications and features that results in increased battery life. Lowering the brightness will extend the battery life. Enabling Automatic Brightness can save battery power. 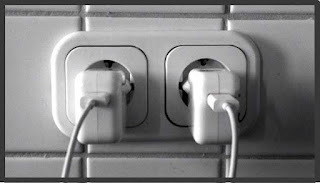 Connecting via the Bluetooth will increase the battery power consumption. Staying connected with Bluetooth also increases the battery power consumption. Although enabling and disabling mobile data will not affect battery consumption significantly, disabling mobile data will prevent background applications from consuming battery. Apps like Bittorent, whatsapp will run on background if you keep mobile data as enabled. These tips are applicable for Wifi also. Using Live wall papers will increase battery consumption. Prefer static image wallpaper instead of animated wallpaper to minimize battery consumption.